Mews lv9 and under can BE traded coz of Pokesav. All the others work. yep, I've had it happen when i wasn't trying to clone. My tauros turned into a Beedril. i don't want to lose one of my amulate coins or exp shares. can't you do it with a regular trade. i'm sure its posible. could you experiment a bit about this. I never got my traded, i just do it as quick as possible, and you don't lose it without someone trade you, and if you lose it i have some Coin Amulets and Exp Shares you can have. ah. makes sence but i got blue screen and it didn't work huh. ROT - are you saying that its impossible for someone to give you a level <9 dialga/palkia over the GTS? why would that not work, when it IS possible to give a level <9 mew?? Yes. Once I put a Charizard up for a trade to clone it of course. I put it up for a lv9 and under Dialga, when I decided to get it out, it said 'This Pokemon was not traded' or something like that. If you are having trouble cloning try to listen to your favorit music at the same time. it may sound weired but it worked for me and my friend.if you want to read the whole story its down there but other wise just skip it. im so happy i finally figuered out the exact timne to shut off the ds. i realize that is a little off subject but here is my point. i have been trying to clone for months now. today i turned on my favorit music when i was trying and i cloned my arceus and darkria 10 times with no messups. then i brought over my friend because he wanted one of each. he has never cloned before and he tried with out his music on.well he started to get made because it wasnt working. then we put on his music and he got it every time. ps. if you want a darkrai of arceus, pm and ill tell you what i want. SSBB FC:3394-3234-6338. Plese pm me if you add me. could someone please clone some stuff for me? i'd be willing to give them a legendary or a lvl 50 ev trained epseon or a lvl 50 blissey or something else if they want. Also you may keep a copy of anything you clone. including a lucky egg. Sorry if I breach any psypokes rules, but do you have to have your GTS for cloning work by only having connections to the computer? Is there another solution? Don't you think it's kind of weird there is a way to clone in each generation? Maybe nintendo just intend to create a way to clone pokémon? Or maybe it is just a conincidence? is there any chance that ure save file might get deleted while attempting to clone? Im going to my friends house tomorrow. He has Pearl. He doesnt have wifi, and I have no idea if he even started a game. How can I clone his pokemon? 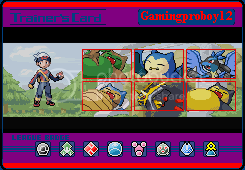 1)Okay, first off, you put the pokemon you want and offer it, ask for a lvl 9 and under dialga or palkia. 2)When the clock at the bottom is spinning (when you are putting it in) wait till it spins 9x and then 1/4 more. 3)Tun it off right then when it hits the 9 and 1/4, then turn it back on. 4)When your at the start-up screen it should say, "The save file is corrupted, the previous save file will be loaded." 5)Ok, when you get to the game, it should show you coming out of the door from the GTS, Go back in. 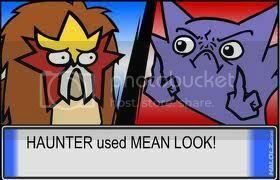 6) Lastly you see if you have the pokemon in the box, and in the GTS. There are some pokemon you cannot clone, like pokemon with a classic ribbon. I have cloned lots of Pokemon and my save file hasn't been deleted. My file has kind of got deleted but no, it says SUMMARY then DEPOSIT POKEMON if you press be on the summary, you just have to disconnect. In the GTS, how do I seek a Pokemon I haven't seen (and registered into my Pokedex) before? yes, meaning you can buy yourself a device that can clone ingame without the use of using the GTS (AR, pokesav, etc.). no, because if you want to do it "legitimately," you NEED an internet connection to connect to the GTS to deposit your pokemon. There is one VERY RISKY way to clone Pokemon with a Classic Ribbon without the use of the GTS or an Action Replay. Remember, back in Gen I, the cloning trick was something like turning off your games in the middle of a trade with perfect timing? Same in Gen 4, except the trades are all wireless. This accidentally happened to me once (disconnection during a trade), and has a very high risk of well, losing the Pokemon entirely. My friend mentioned something about putting the pokemon in the second slot down to the far left of box 13, pressing and holding a few buttons, switching boxes, releasing the buttons, and when you go back to box 13 your pokemon will be both there and being held by you. Could someone clarify this? EDIT:I even watched him do it. That's cloning with Action Replay. The code is in the AR thread.